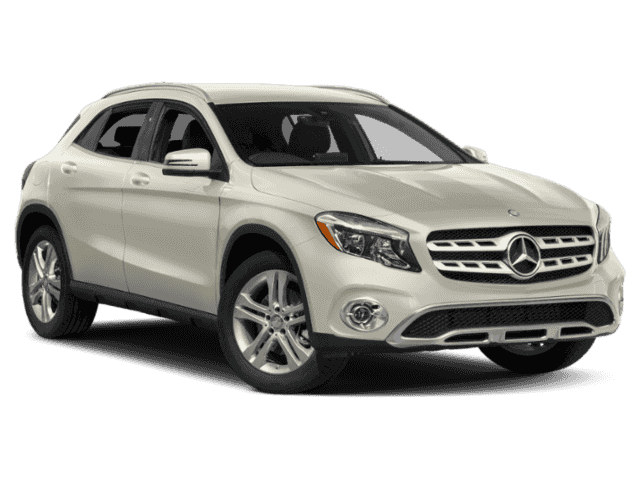 Contact Mercedes-Benz of Ontario today for information on dozens of vehicles like this 2019 Mercedes-Benz GLA GLA 250. This Mercedes-Benz includes: BLIND SPOT ASSISTBlind Spot Monitor SAIL PATTERN TRIMSMARTPHONE INTEGRATIONSmart Device Integration WHEELS: 18 5-SPOKE ALUMINUM (STD)Aluminum Wheels BLACK HEADLINERCONVENIENCE PACKAGEAuto-Dimming Rearview Mirror Universal Garage Door Opener COMPASS -inc:*Note - For third party subscriptions or services, please contact the dealer for more information. * This SUV gives you versatility, style and comfort all in one vehicle. Stylish and fuel efficient. It's the perfect vehicle for keeping your fuel costs down and your driving enjoying up.The 2019 Mercedes-Benz exterior is finished in a breathtaking Night Black, while being complemented by such a gorgeous BLACK MB-TEX interior. This color combination is stunning and absolutely beautiful! You can find this 2019 Mercedes-Benz GLA GLA 250 and many others like it at Mercedes-Benz of Ontario. This Mercedes-Benz includes: BLACK ASH MATTE WOOD TRIMWoodgrain Interior Trim BLIND SPOT ASSISTBlind Spot Monitor SMARTPHONE INTEGRATIONSmart Device Integration KEYLESS GOKeyless Start Power Door Locks Keyless Entry WHEELS: 18 5-SPOKE ALUMINUM (STD)Aluminum Wheels BLACK HEADLINER*Note - For third party subscriptions or services, please contact the dealer for more information. * Want more room? Want more style? This Mercedes-Benz GLA is the vehicle for you. Start enjoying more time in your new ride and less time at the gas station with this 2019 Mercedes-Benz GLA.Beautiful color combination with Polar White exterior over BLACK MB-TEX interior making this the one to own! 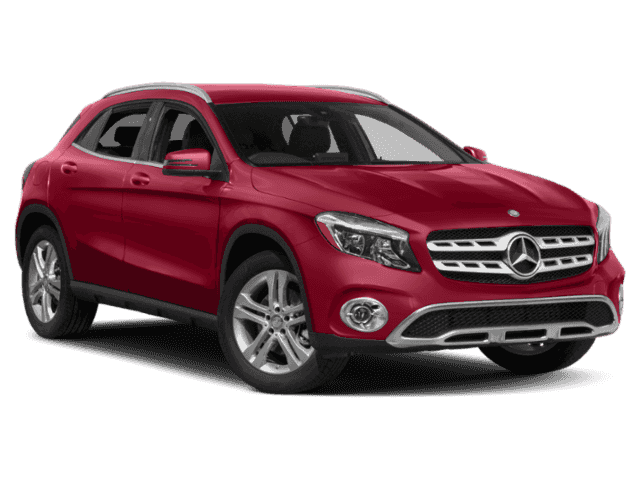 This 2019 Mercedes-Benz GLA GLA 250 is offered to you for sale by Mercedes-Benz of Ontario. This Mercedes-Benz includes: BLIND SPOT ASSISTBlind Spot Monitor SAIL PATTERN TRIMSMARTPHONE INTEGRATIONSmart Device Integration KEYLESS GOKeyless Start Power Door Locks Keyless Entry WHEELS: 19 5-TWIN-SPOKE, MATTE BLACKTires - Front Performance Tires - Rear Performance BLACK HEADLINER*Note - For third party subscriptions or services, please contact the dealer for more information. * Want more room? Want more style? 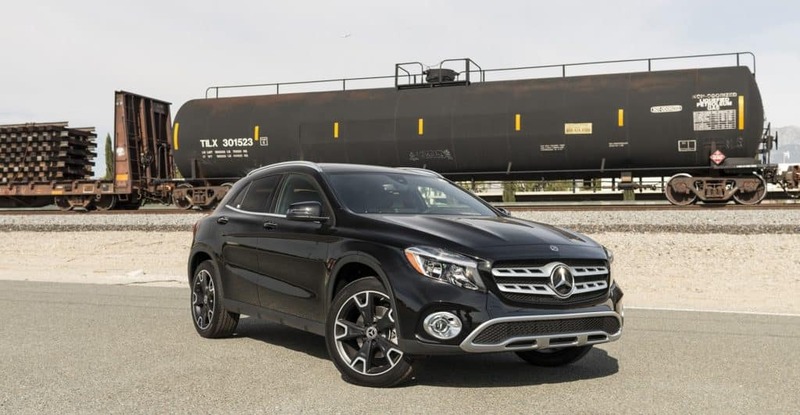 This Mercedes-Benz GLA is the vehicle for you. Stylish and fuel efficient. It's the perfect vehicle for keeping your fuel costs down and your driving enjoying up.You've found the one you've been looking for. Your dream car. This 2019 Mercedes-Benz GLA GLA 250 is proudly offered by Mercedes-Benz of Ontario This Mercedes-Benz includes: SAIL PATTERN TRIMPREMIUM PACKAGEKeyless Start HD Radio Hands-Free Liftgate Heated Front Seat(s) Satellite Radio Power Door Locks Keyless Entry Blind Spot Monitor Remote Trunk Release SMARTPHONE INTEGRATIONSmart Device Integration WHEELS: 19 5-TWIN-SPOKE, MATTE BLACKTires - Front Performance Tires - Rear Performance BLACK HEADLINERCONVENIENCE PACKAGEAuto-Dimming Rearview Mirror Universal Garage Door Opener COMPASS -inc:*Note - For third party subscriptions or services, please contact the dealer for more information. * Want more room? Want more style? This Mercedes-Benz GLA is the vehicle for you. Everyone hates the gas pump. Skip a few gas stations with this super fuel efficient Mercedes-BenzGLA.You've found the one you've been looking for. Your dream car. This 2019 Mercedes-Benz GLA GLA 250 is proudly offered by Mercedes-Benz of Ontario This Mercedes-Benz includes: SAIL PATTERN TRIMPREMIUM PACKAGEKeyless Start HD Radio Hands-Free Liftgate Heated Front Seat(s) Satellite Radio Power Door Locks Keyless Entry Blind Spot Monitor Remote Trunk Release SMARTPHONE INTEGRATIONSmart Device Integration BLACK HEADLINERCONVENIENCE PACKAGEAuto-Dimming Rearview Mirror Universal Garage Door Opener COMPASS -inc:*Note - For third party subscriptions or services, please contact the dealer for more information. * Want more room? Want more style? This Mercedes-Benz GLA is the vehicle for you. Start enjoying more time in your new ride and less time at the gas station with this 2019 Mercedes-Benz GLA.This is the one. Just what you've been looking for. This 2019 Mercedes-Benz GLA GLA 250 is proudly offered by Mercedes-Benz of Ontario This Mercedes-Benz includes: SAIL PATTERN TRIMPREMIUM PACKAGEKeyless Start HD Radio Hands-Free Liftgate Heated Front Seat(s) Satellite Radio Power Door Locks Keyless Entry Blind Spot Monitor Remote Trunk Release SMARTPHONE INTEGRATIONSmart Device Integration WHEELS: 19 5-TWIN-SPOKE, MATTE BLACKTires - Front Performance Tires - Rear Performance BLACK HEADLINERCONVENIENCE PACKAGEAuto-Dimming Rearview Mirror Universal Garage Door Opener COMPASS -inc:*Note - For third party subscriptions or services, please contact the dealer for more information. * Want more room? Want more style? This Mercedes-Benz GLA is the vehicle for you. Save money at the pump with this fuel-sipping Mercedes-Benz GLA.You've found the one you've been looking for. Your dream car. This outstanding example of a 2019 Mercedes-Benz GLA GLA 250 is offered by Mercedes-Benz of Ontario. This Mercedes-Benz includes: PREMIUM PACKAGEKeyless Start HD Radio Hands-Free Liftgate Heated Front Seat(s) Satellite Radio Power Door Locks Keyless Entry Blind Spot Monitor Remote Trunk Release SMARTPHONE INTEGRATIONSmart Device Integration WHEELS: 19 5-TWIN-SPOKE, MATTE BLACKTires - Front Performance Tires - Rear Performance CONVENIENCE PACKAGEAuto-Dimming Rearview Mirror Universal Garage Door Opener WHEEL LOCKS (DIO)Wheel Locks *Note - For third party subscriptions or services, please contact the dealer for more information. * Want more room? Want more style? This Mercedes-Benz GLA is the vehicle for you. Everyone hates the gas pump. Skip a few gas stations with this super fuel efficient Mercedes-BenzGLA.This is the one. Just what you've been looking for. This 2019 Mercedes-Benz GLA GLA 250 is offered to you for sale by Mercedes-Benz of Ontario. This Mercedes-Benz includes: SAIL PATTERN TRIMPREMIUM PACKAGEKeyless Start HD Radio Hands-Free Liftgate Heated Front Seat(s) Satellite Radio Power Door Locks Keyless Entry Blind Spot Monitor Remote Trunk Release SMARTPHONE INTEGRATIONSmart Device Integration WHEELS: 19 5-TWIN-SPOKE, MATTE BLACKTires - Front Performance Tires - Rear Performance CONVENIENCE PACKAGEAuto-Dimming Rearview Mirror Universal Garage Door Opener COMPASS -inc:WHEEL LOCKS (DIO)Wheel Locks *Note - For third party subscriptions or services, please contact the dealer for more information. * Want more room? Want more style? This Mercedes-Benz GLA is the vehicle for you. Start enjoying more time in your new ride and less time at the gas station with this 2019 Mercedes-Benz GLA.You could keep looking, but why? You've found the perfect vehicle right here. Contact Mercedes-Benz of Ontario today for information on dozens of vehicles like this 2019 Mercedes-Benz GLA GLA 250. This Mercedes-Benz includes: SAIL PATTERN TRIMPREMIUM PACKAGEKeyless Start HD Radio Hands-Free Liftgate Heated Front Seat(s) Satellite Radio Power Door Locks Keyless Entry Blind Spot Monitor Remote Trunk Release SMARTPHONE INTEGRATIONSmart Device Integration WHEELS: 19 5-TWIN-SPOKE, MATTE BLACKTires - Front Performance Tires - Rear Performance BLACK HEADLINER*Note - For third party subscriptions or services, please contact the dealer for more information. * Want more room? Want more style? This Mercedes-Benz GLA is the vehicle for you. 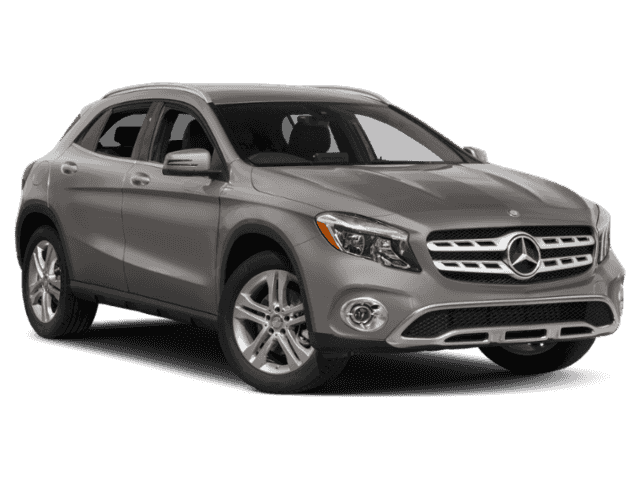 Save money at the pump with this fuel-sipping Mercedes-Benz GLA.Beautiful color combination with Mountain Grey exterior over BLACK MB-TEX interior making this the one to own! This 2019 Mercedes-Benz GLA GLA 250 is proudly offered by Mercedes-Benz of Ontario This Mercedes-Benz includes: BLACK ASH MATTE WOOD TRIMWoodgrain Interior Trim PREMIUM PACKAGEKeyless Start HD Radio Hands-Free Liftgate Heated Front Seat(s) Satellite Radio Power Door Locks Keyless Entry Blind Spot Monitor Remote Trunk Release SMARTPHONE INTEGRATIONSmart Device Integration BLACK HEADLINERCONVENIENCE PACKAGEAuto-Dimming Rearview Mirror Universal Garage Door Opener COMPASS -inc:WHEELS: 18 TWIN 5-SPOKE ALLOYAluminum Wheels WHEEL LOCKS (DIO)Wheel Locks *Note - For third party subscriptions or services, please contact the dealer for more information. * Want more room? Want more style? This Mercedes-Benz GLA is the vehicle for you. Start enjoying more time in your new ride and less time at the gas station with this 2019 Mercedes-Benz GLA.You've found the one you've been looking for. Your dream car. This outstanding example of a 2019 Mercedes-Benz GLA GLA 250 is offered by Mercedes-Benz of Ontario. This Mercedes-Benz includes: PREMIUM PACKAGEKeyless Start HD Radio Hands-Free Liftgate Heated Front Seat(s) Satellite Radio Power Door Locks Keyless Entry Blind Spot Monitor Remote Trunk Release WHEELS: 18 TWIN 5-SPOKE ALLOYAluminum Wheels SMARTPHONE INTEGRATIONSmart Device Integration BEIGE ROOF LINERSATIN BROWN POPLAR WOOD TRIMWoodgrain Interior Trim *Note - For third party subscriptions or services, please contact the dealer for more information. * This SUV gives you versatility, style and comfort all in one vehicle. Stylish and fuel efficient. It's the perfect vehicle for keeping your fuel costs down and your driving enjoying up.This AWD-equipped vehicle will handle beautifully on any terrain and in any weather condition your may find yourself in. The benefits of driving an all wheel drive vehicle, such as this Mercedes-Benz GLA GLA 250, include superior acceleration, improved steering, and increased traction and stability. This 2019 Mercedes-Benz GLA GLA 250 is offered to you for sale by Mercedes-Benz of Ontario. This Mercedes-Benz includes: SAIL PATTERN TRIMPREMIUM PACKAGEKeyless Start HD Radio Hands-Free Liftgate Heated Front Seat(s) Satellite Radio Power Door Locks Keyless Entry Blind Spot Monitor Remote Trunk Release SMARTPHONE INTEGRATIONSmart Device Integration PANORAMA SUNROOFGeneric Sun/Moonroof Sun/Moonroof Dual Moonroof WHEELS: 19 5-TWIN-SPOKE, MATTE BLACKTires - Front Performance Tires - Rear Performance CONVENIENCE PACKAGEAuto-Dimming Rearview Mirror Universal Garage Door Opener COMPASS -inc:WHEEL LOCKS (DIO)Wheel Locks *Note - For third party subscriptions or services, please contact the dealer for more information. * Want more room? Want more style? This Mercedes-Benz GLA is the vehicle for you. Everyone hates the gas pump. Skip a few gas stations with this super fuel efficient Mercedes-BenzGLA.The 2019 Mercedes-Benz exterior is finished in a breathtaking Polar White, while being complemented by such a gorgeous BLACK MB-TEX interior. This color combination is stunning and absolutely beautiful! The Mercedes-Benz GLA is one of the brand’s most cost-effective models, but it lives up to its nameplate with turbocharged power, a feature-rich cabin, and smooth, responsive maneuvering. Edmunds says the GLA delivers “athletic handling and big smiles on narrow, twisting roads”—and we can’t argue! The GLA is available to Eastvale and Fontana drivers in three capable trims: GLA 250, GLA 250 4MATIC®, and AMG® GLA 45. Schedule a test drive at Mercedes-Benz of Ontario, located near Chino and San Bernardino! Be sure to also browse our current SUV lease offers.